Ms. Roche’s Class Goes to the Baseball Game! 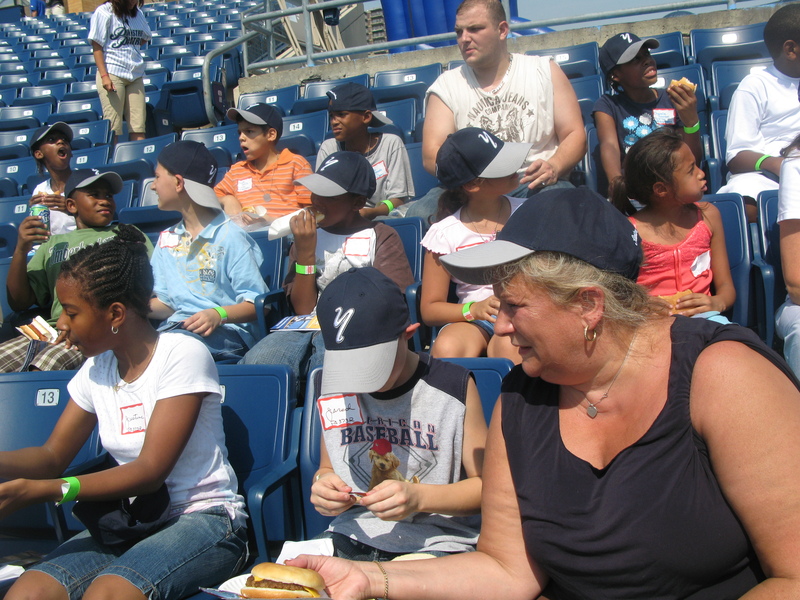 Our class went to the Staten Island Yankee game on July 17th. They Yankees were playing the Muckdogs. We traveled by bus. It was very hot outside. First we had to get out tickets, with our tickets came a cool hat. We found in sits in section 1. Near the Yankees dugout. Then it was time to eat. We lined up and got our food. This was special day it was and all you can eat buffet. Some ate 2 burgers, Some ate 3 hotdogs. We drank water, and Pepsi, and Mountain dew. Some people only ate 1 hotdog and some people drank sprite. Because we were near the dugout it was easy to get autographs. The guys on the Yanks signed our hats and programs. Then the game started. In the first inning Muckdogs scored 2 runs. In the 3rd the Yanks had two runs. But the Muckdogs won the game 4-2. All in all it was a wonderful day. We had a great time. ~ by stufffromthelab on July 21, 2008. I had the best time with my friends at the game. The Players gave us High Fives. I think scooter the mascot is cute. All the mascots were cute. It was really fun but it was hot and I was really sweaty. I drank alot of water and had great time. I liked the Muckdogs. They played great. 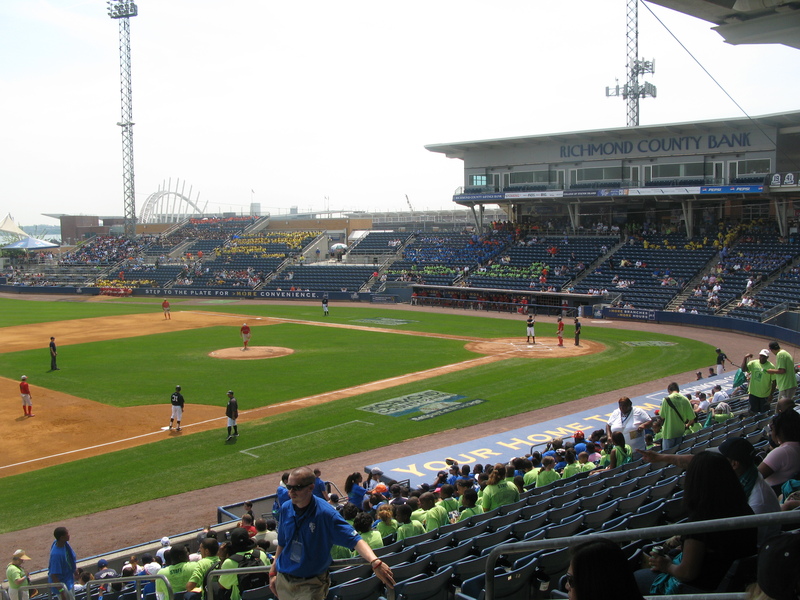 I ate 1 hotdog We went to the Staten Island yankees It was fun. The Yankees did hit one homerun. We had soda and drank alot of water because it was hot. Some of us got our hats signed by the players. Then we ate. But I didn’t eat I was not hungry. The Yankees scored 2 but the Muckdogs beat them they score 4 runs. I went to see the Yanks and we had free food. I drank diet pepsi and I had a hamburger. I had cheese on my burger. I didn’t get My hat signed. The Yanks were not themselves that day and they lost. I go to games all the time and they usaually win. But the Yanks did hit a 390 foot homerun the next night on July 18th. We had fun at the July 17th game. 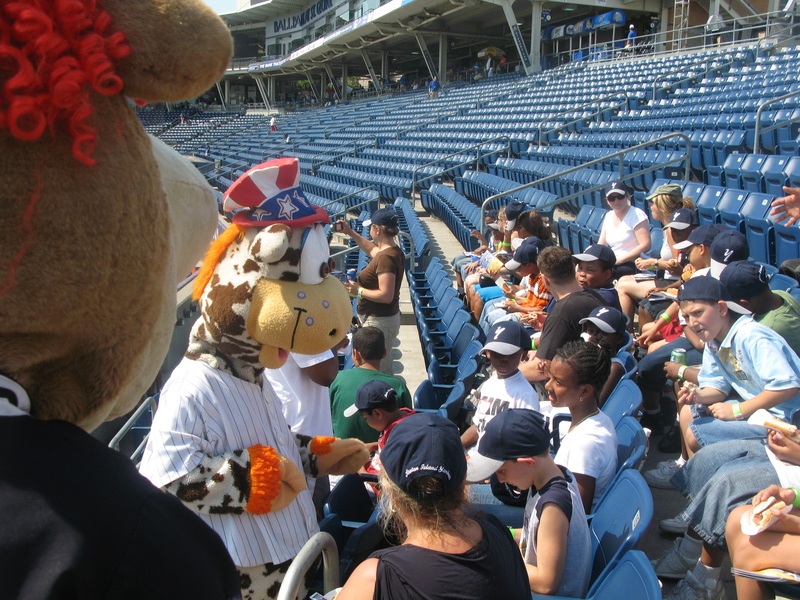 We met mascots of the Yankees. We cheered Lets Go Yankees!. We ate food. Some people caught foul balls. I got my hat signed by the players. I had a very good time. They lost 4-2 but it was a good game.